Adelaide Duo / Band 605 has been performing at events, weddings and private functions around Adelaide for over 10 years.Every member is a trained singer offering a variety of artists as well as harmonies that really make their performances come alive. Their stage presence is energetic, fun and engaging, they love to involve the audience and make everybody feel relaxed and part of the show. Adelaide Band 605’s music is ALL LIVE, no computers were harmed in the making of their performances. 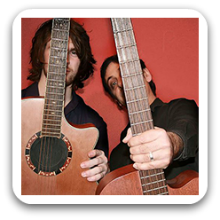 One of Adelaide’s top cover bands can be booked as an Acoustic Duo, 3 Piece Party Band or a 4 Piece Corporate Show performing hit classics from the 70s, 80s, 90s and most recent. Member 1 on Guitar/Vocals, Member 2 on Bass/Vocals, Member 3 on Drums/Vocals and Member 4 on Keys/Vocals (female), promising a full sound together with talented vocalists, you’re in for a fun night, whatever you are celebrating. Small gatherings and background music is something we can cater for with songs from artists like: Crowded House, John Mayer, Matchbox Twenty, Elton John, Pink Floyd, The Eagles and many more. When it’s band you want to get things going in your venue/celebration then this rock trio might be the answer with artists like: Queen, Bon Jovi, Aerosmith, Rolling Stones, John Mellencamp, Fleetwood Mac and many more. Michael Jackson and Jackson 5, Pink, Hot Chocolate, Cheap Trick, Kelly Clarkson, Stevie Wonder and the list goes on. 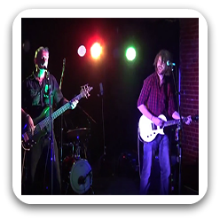 Can perform as a: Duo, 3 & 4 Piece Band and are available to perform in Adelaide and Surrounding Areas. Wanna Dance With Somebody – Whitney H.
The band we had on Saturday 23/8/2014 (band 605) were excellent they played the music that suited our function and they played it well. We will be using them again for our next function.